Would You Like a Definitive Date Your Property will Sell? Consign Your Real Estate Today! 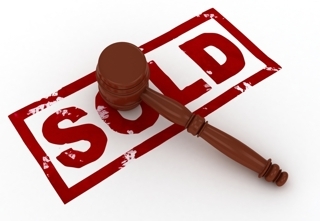 As the premier real estate auction company in the tri-state area, Maltz Auctions is conducting multi-property real estate auction events in your area. These auctions will feature not only distressed, but non-distressed, residential and commercial real estate. If you would like to sell your property on an expedited basis, call us today! Terms & Conditions of Sale: Properties will be sold free and clear of all liens, claims and encumbrances. Buyer Broker Participation: A two percent (2%) commission will be paid to any properly licensed Buyer Broker who registers a successful buyer in accordance with the Buyer Broker guidelines (Where Applicable). The properties are being sold on an “AS IS, WHERE IS” basis, and no warranty or representation, either expressed or implied, concerning the property is made by the Seller, Auction Company or any of their Agents. The information contained herein was derived from sources deemed reliable, but is not guaranteed. Most of the information provided has been obtained from third party sources and has not been independently verified. It is the responsibility of the Buyer and/or Buyer’s Broker to determine the accuracy of all measurements and specifications of the property. Each potential bidder is responsible for conducting his or her own independent inspections, investigations, inquiries, and due diligence concerning the property, including without limitation, environmental and physical condition of the property. All prospective bidders are urged to conduct their own due diligence prior to participating in the Public Auction Sales. Bid rigging is illegal and suspected violations will be reported to the Department of Justice for investigation and prosecution.